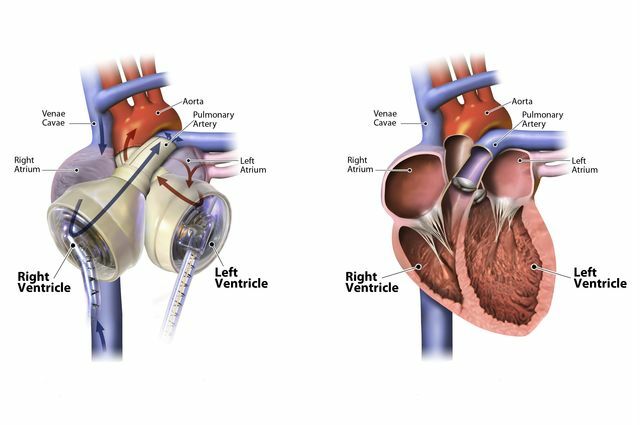 The UCLA patient is the first person in California to receive the smaller Total Artificial Heart, and the first patient in the world with the device to be bridged to a successful heart transplant — that is, to go from needing a transplant to receiving one. “In addition to the high-tech medicine that kept her alive, Mrs. Kahala and her family have exemplified how a solid support system that includes loved ones and a compassionate medical team practicing what we at UCLA have termed ‘Relational Medicine’ plays an important role in surviving a medical crisis,” said Dr. Mario Deng, professor of medicine and medical director of the Advanced Heart Failure, Mechanical Support and Heart Transplant program at UCLA. Kahala was discharged from UCLA on April 18. She is grateful to be home in Riverside with her family, who own a grocery store in the city of Orange. The FDA cautions that in the United States, the 50cc SynCardia temporary Total Artificial Heart is an investigational device, limited by United States law to investigational use. The 50cc TAH is in a FDA-approved clinical study. UCLA plans to begin enrolling patients in the study in the near future. 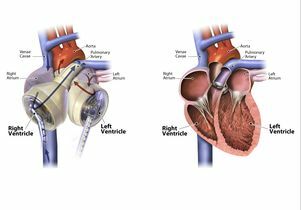 More information on the UCLA Integrated Advanced Heart Failure/Mechanical Support/Heart Transplant Program can be found online.